Sunflowers have enough sunshine to brighten any gloomy day. Cheerful, happy, merry, joyful are just a few words that describe what sunflower have to offer. 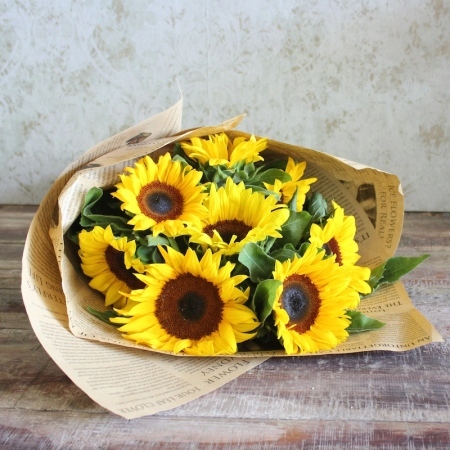 Our sunflowers bouquet will delight for any occassion birthday, new baby, get well or just becuase just to name a few. Always welcome to pick some up from our store located in Carligford Court and just treat yourself to this sunny bouquet.